Breast Care Oil Bioaroma was added to your shopping cart. Breast Care Oil with 100% natural oil from Cretan Carob, ideal for the period of pregnancy and breastfeeding. Breast Care Oil Bioaroma with 100% Carob natural oil. The breast is the most prominent element of femininity in the female body. 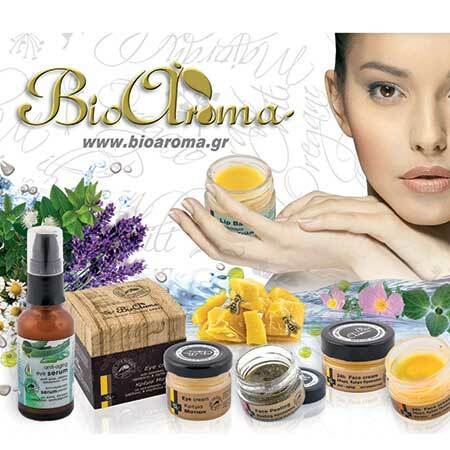 Bioaroma chooses 100% Cretan carob natural oil for the care of the female breast. Carob is rich with beneficial properties for the skin. It helps to maintain the elasticity of the skin and prevent stretch marks so as to show youthful and vigorous. It is not accidentally, its use by the Arabian harems of Sultans before visiting the royal bed. It is suitable for the lactation period. Use: Apply daily two drops of breast Care Oil Bioaroma treatment around the breasts and gently massage with upward movements. Ideal application after bathing. Ingredients: Olea Europaea Fruit Oil, Ceratonia Siliqua Fruit Extract.